March 2013 - In its 100th year since it was founded, the Anti-Defamation League (ADL) continues to function as the nation's premier civil rights and human relations agency. In its fight against bigotry and protecting civil rights for all, ADL recognizes individuals throughout the year, for reasons such as humanitarianism and outstanding community involvement. These four people stand out as exceptional recipients of ADL awards. In 2007, the Anti-Defamation League's Women of Achievement Award was awarded to Andrea S. Kramer, a partner in McDermott Will & Emery's Chicago office. This award honors women who are outstanding in their field and who embody the spirit and philosophy of ADL through their community service. Kramer is a founding member and board chair of the Women's Treatment Center and serves on DanceArt's board. This display of outstanding community service earner her the Unsung Heroine Award in 2004 from the Cook County Board of Commissioners. Kramer co-founded the Women's Leadership and Mentoring Alliance and has held leadership roles in the National Association of Women Lawyers, the Chicago Bar Association and the International Bar Association. Mark Weinberger, Global Chairman and CEO-elect of Ernst & Young, was awarded the ADL Achievement Award in December 2012. "In the course of his career and in his personal life, Mark has led by example through his strong commitment to equality and human dignity, to compassion and mutual understanding, and to building a community marked by respect and service to others,” Chair of ADL's Washington, DC Regional Board, Steven H. Schram, said at the ceremony. Schram went on to say that executive Weinberger shares the same principles that have guided ADL for a century. 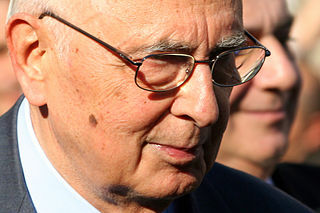 Italian president Giorgio Napolitano was awarded the Distinguished Statesmen Award in February 2013. According to ADL.org, Napolitano was honored for his “uncompromising, unequivocal stand against the evil of anti-Semitism” and for “defending the rights of immigrants, minorities and others underrepresented in Italian society.” ADL National Director Abraham H. Foxman noted that Napolitano had a fundamental role in nurturing relationships with the U.S. and Israel. The most recent ADL award winner, Lynne Liberato, was recognized on March 19. The ADL 2013 Karen H. Susman Jurisprudence Award is presented annually to an outstanding member of the legal community with an exceptional commitment to equality, justice, fairness and community service. Liberato has been president of the State Bar of Texas, Houston Bar Association and Texas Supreme Court Historical Society. The Haynes and Boone partner has received numerous accolades, including being named a Top 100 Texas Super Lawyer and a Top 50 Female lawyer, but she says her proudest achievement is being named United Way's “Volunteer of the Year” when she chaired the board of United Way of Greater Houston. Diane Loughlin Diane is a single mom and freelance writer who lives in North Carolina.